The campaign, which will feature public service announcements in English and Spanish, centers on “humorous over-the-top depictions of the four key safe food handling behaviors”….The campaign will include ads on television, radio, print and websites, along with an integrated social media program. As it happens, a reader sent me the preliminary “concept” version of this campaign (thank you kind reader). 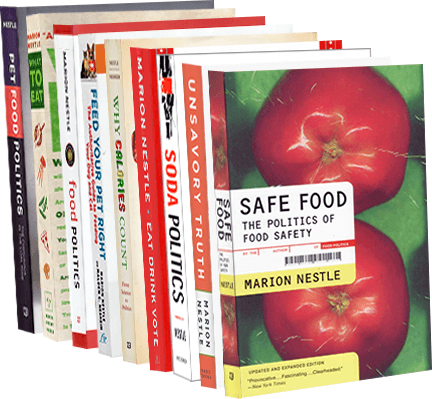 Trust me, this campaign is worth a look, and Food Safety News has some of the videos. Yes, this is a baby pig in a sauna. Humorous maybe, but how will it convince anyone to clean up the kitchen? None of the concepts seem to have anything to do with food. All of them are about your responsibility for food safety. But the big national outbreaks we’ve been experiencing lately are from foods that are already contaminated by the time they get to you. Following food safety procedures makes good sense, but that’s not where the problem lies. They would not help you much with contaminated raw sprouts, for example, unless you cook them (not a bad idea these days). To stop food safety problems at their source, we need a functional food safety system. This means rules that require all producers to follow food safety procedures and a government with the authority and resources to make sure they do. Will we ever get a food safety system like this? And how bad will things have to get before we do? Health claims on alcoholic beverages, exposed!